After almost two full years of complete inactivity, and a first term notable for being the least merciful since that of John Adams ... in the fourth and final year of his second term ... President Obama appears to be game for a respectable showing among two-term presidents. ...other than for pardons. According to the Office of the Pardon Attorney website, Obama has granted few pardons than any President since they have been keeping track (McKinley in 1900). Obama is at 70 pardons. The next closest was George H.W. Bush at 74. 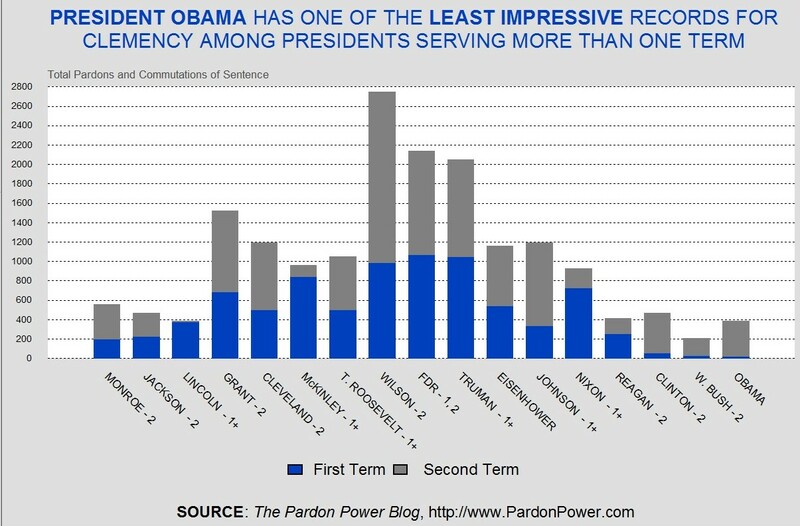 But Bush only served one term.